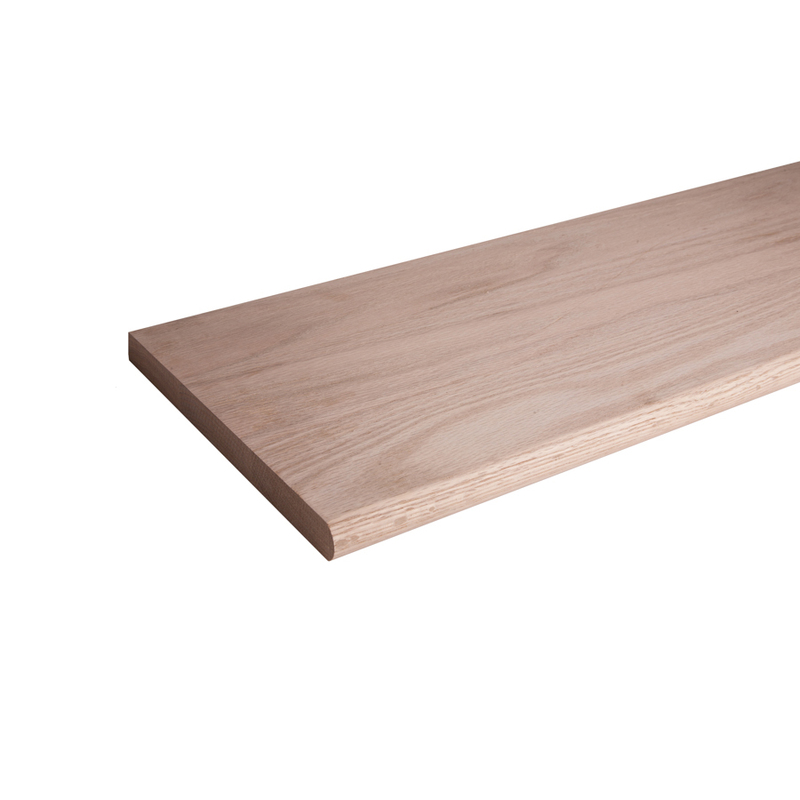 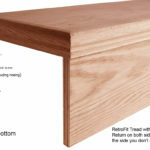 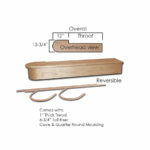 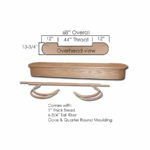 Our wood stair treads are crafted from solid wood, are 1 inch thick and are high quality. 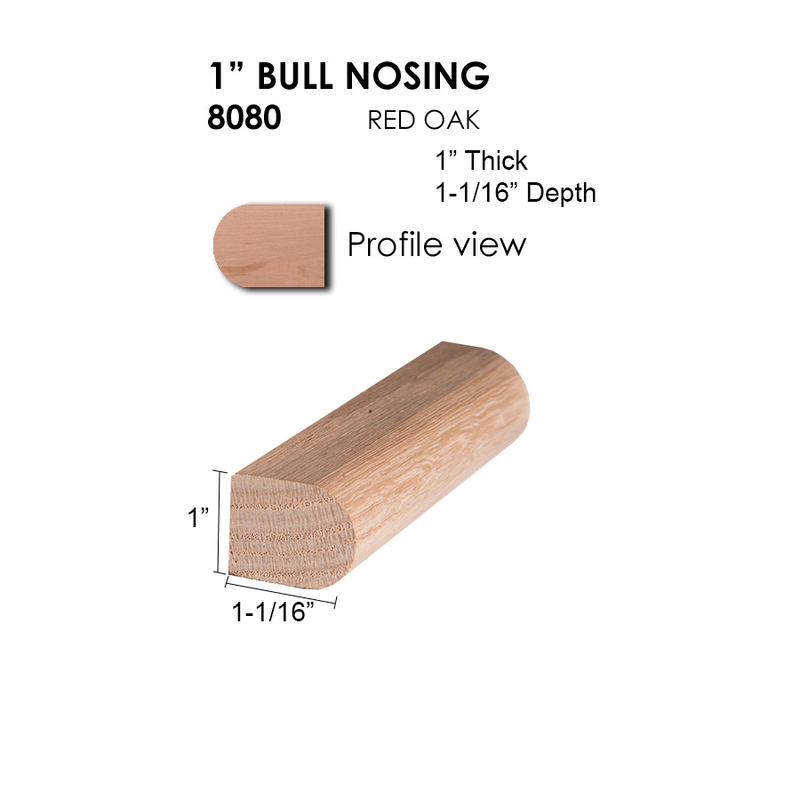 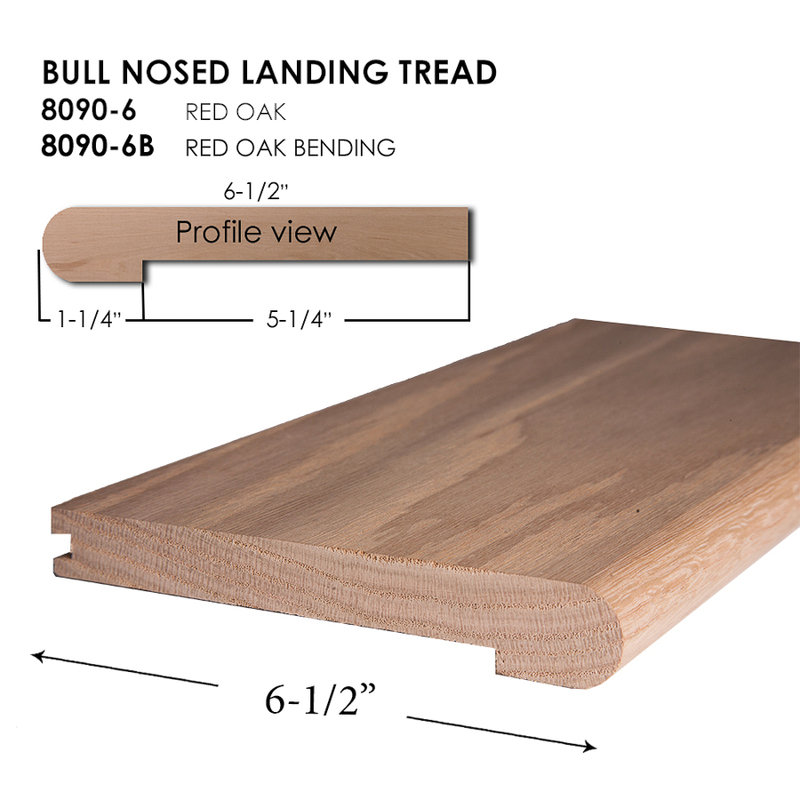 We have bullnosed stair treads that range from 11.5″ x 42″ all the way up to 60″ x 60″ for landings. 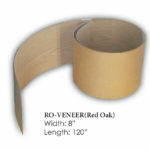 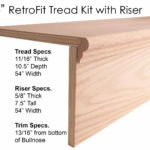 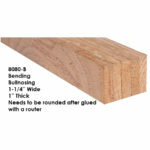 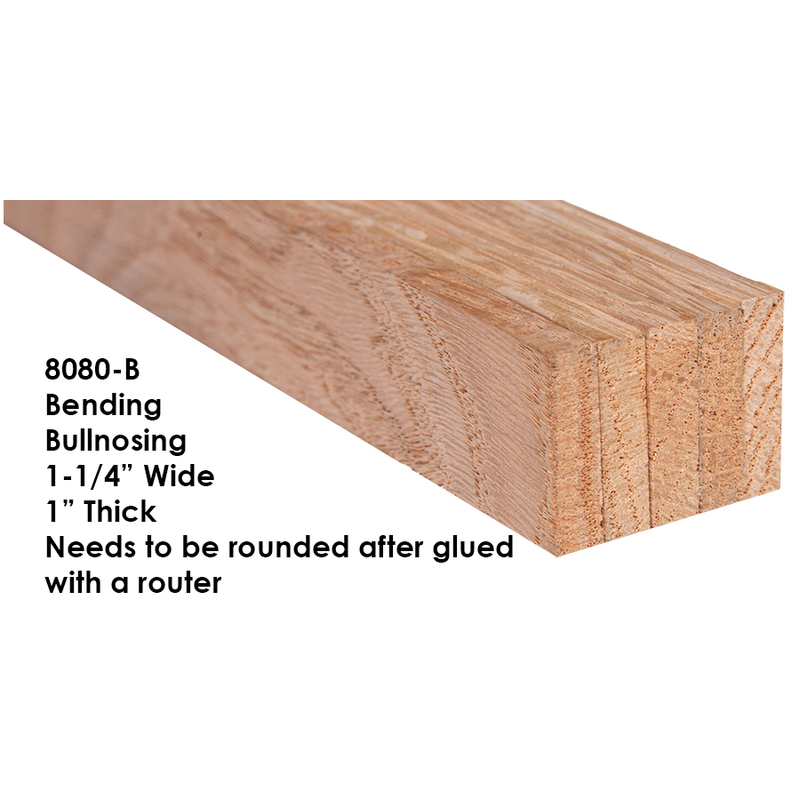 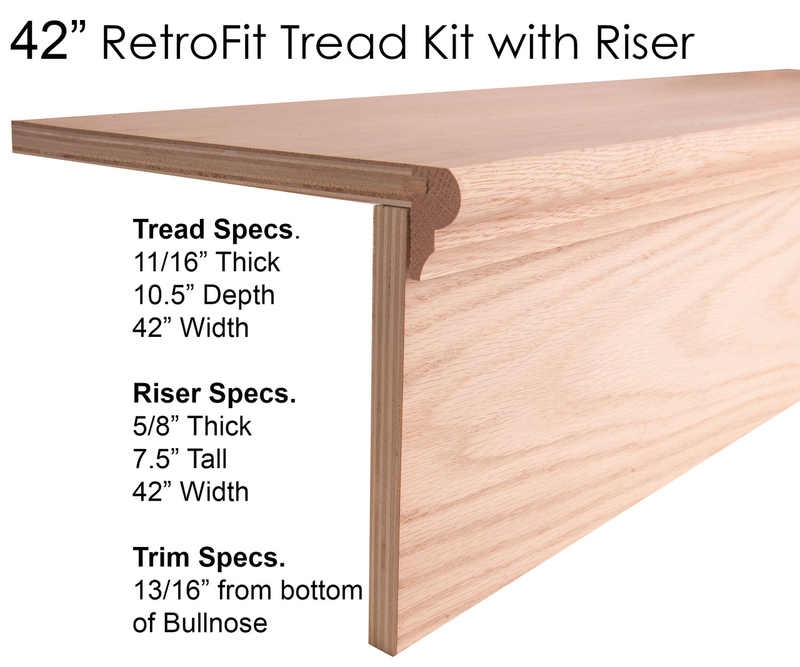 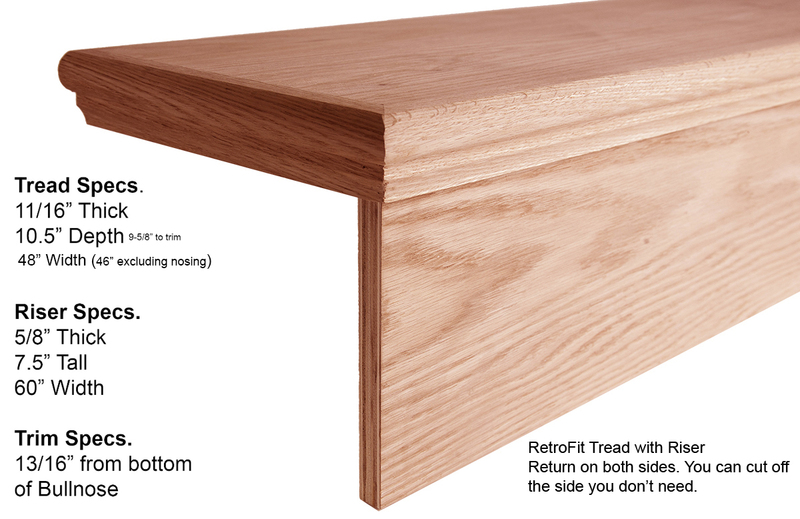 Our mitered return treads are 11.5″ with a 1-3/8″ miter and come in lengths of 48″, 54″ and 60″. 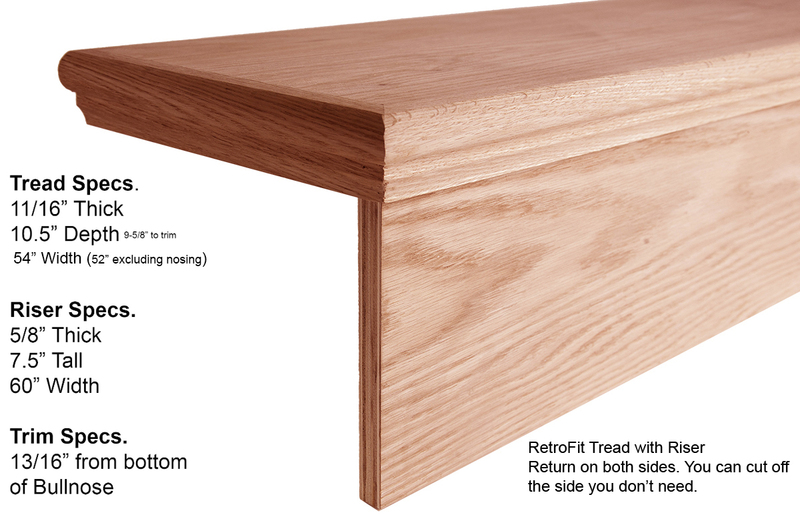 RetroFit Stair Treads are used when you are removing carpet from your stairs and want to have a solid wood look without having to re-frame your entire staircase. They come as a kit complete with the tread, riser and trim. 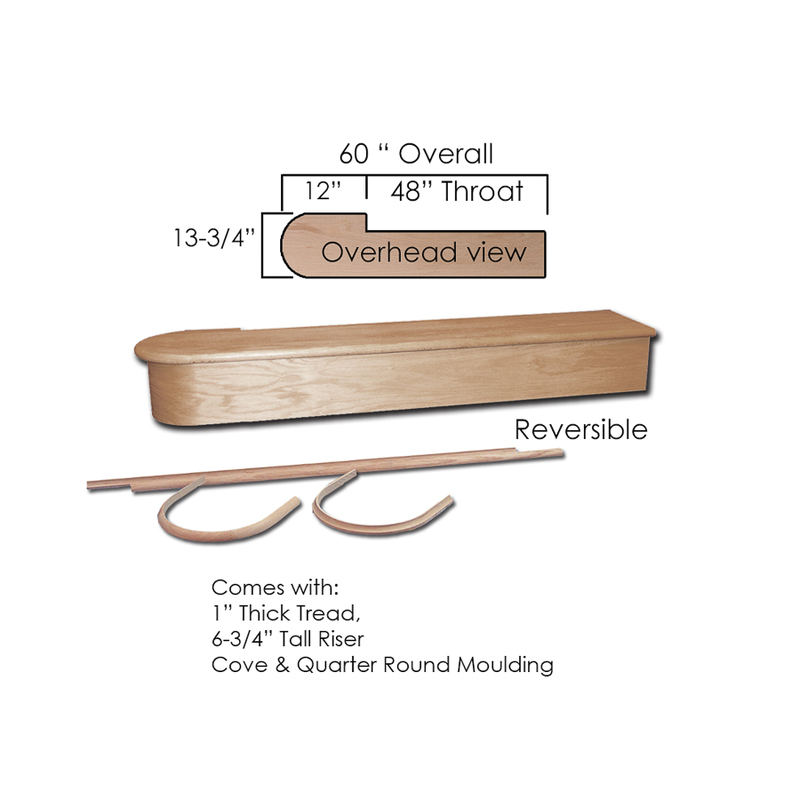 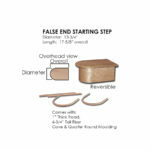 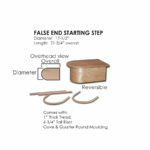 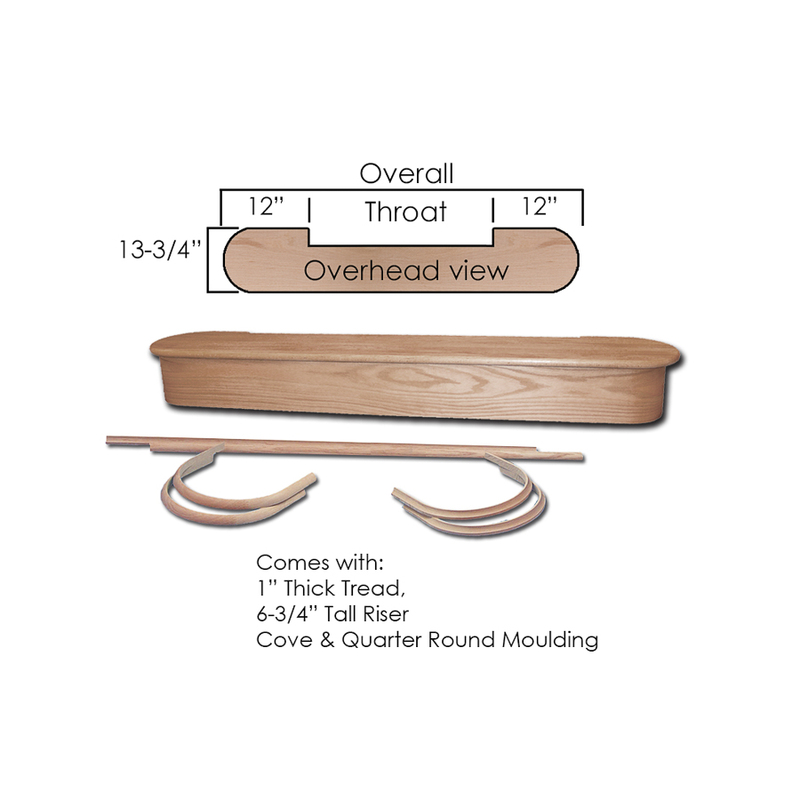 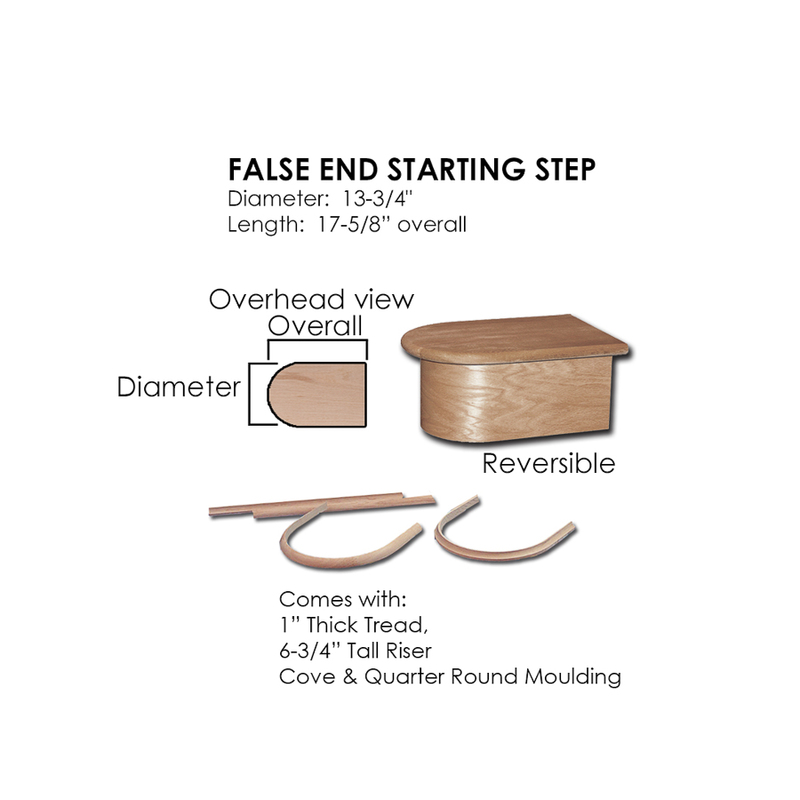 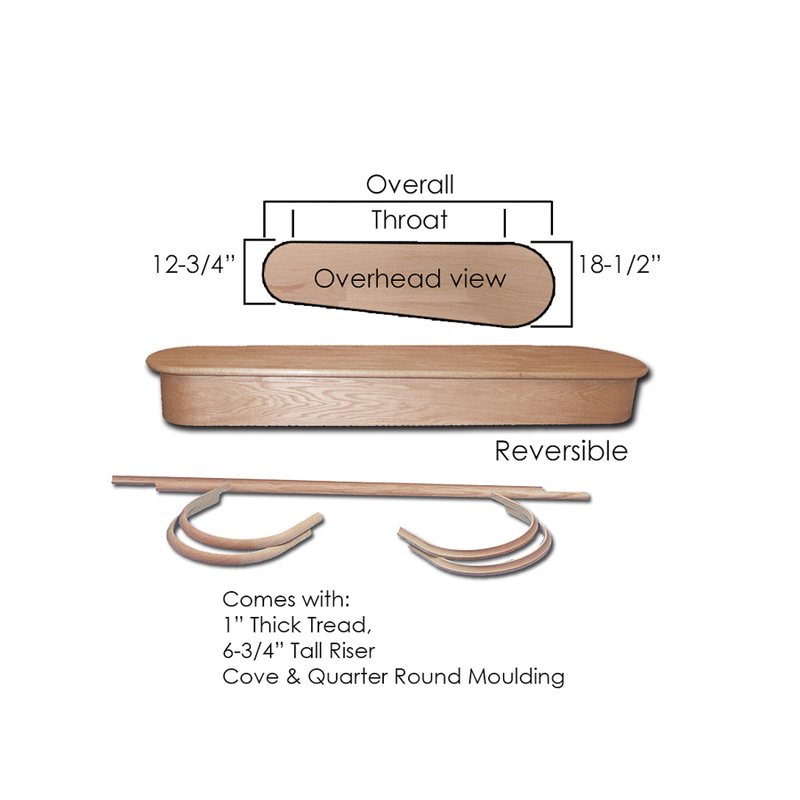 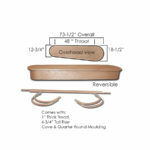 Wood starting steps are a complete bottom step kit that come with the top tread, the wrap around riser and all require trim pieces. 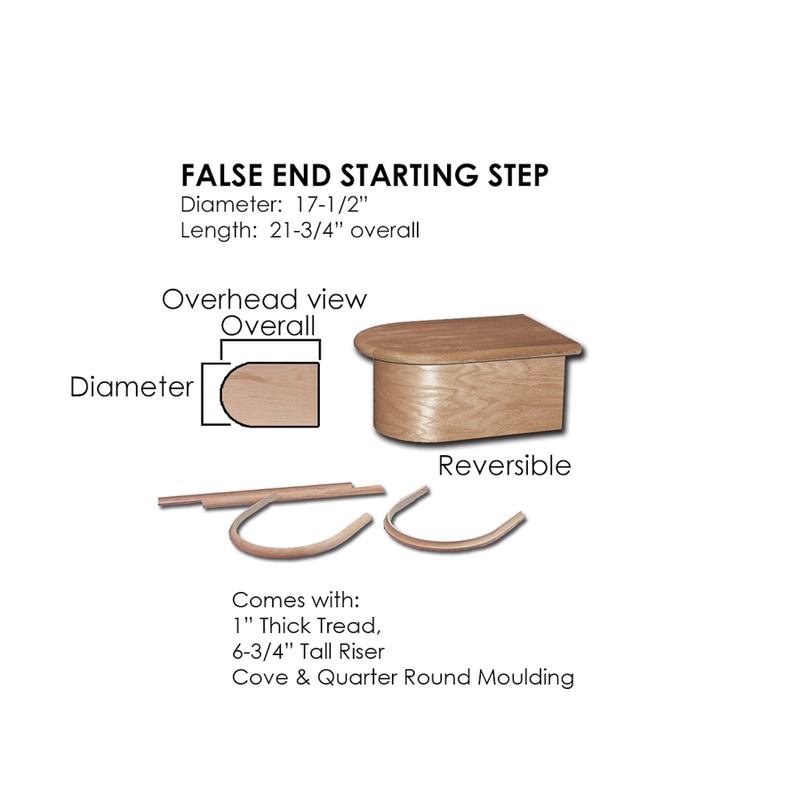 A landing is often referred to as the top step or balcony overhang. 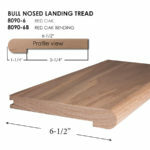 Our landing tread is designed to give your top tread and balcony overhand a finished look.